A moisturizer or leave-in can either make or break the health of your hair. If your hair is low-porosity, a heavy product could weigh it down and make hair dry. If your hair is thick, a light moisturizer may not be enough moisture. 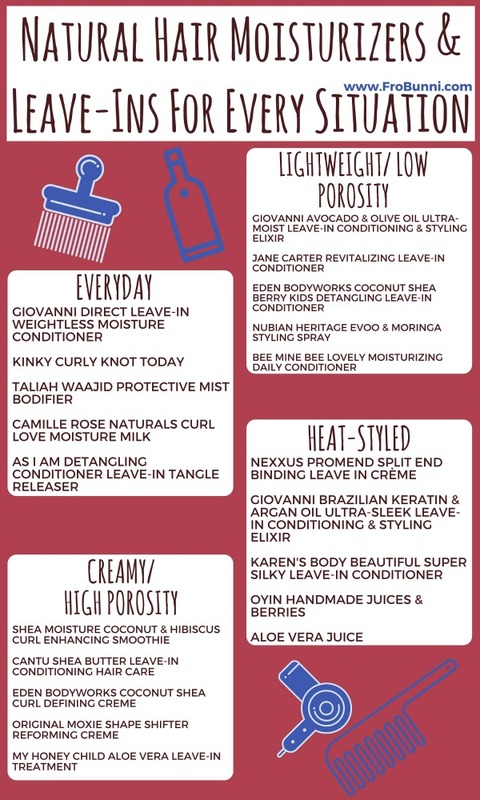 Every curly should know their hair's porosity and density, and when you do, I have a list of products that can help you have beautiful, moisturized hair. Lightweight/ Low Porosity: Light weight moisturizers, as they say, are able to lightly moisturize without weighing hair down. They generally don't have heavy butters or oils - like shea butter or castor oil - as a top ingredient. They are generally sprays, but can also be light creams. They're great for those with low porosity, fine, and low-density hair. 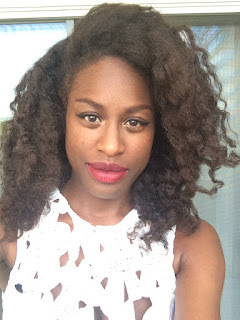 Everyday: Everyday moisturizers and leave-ins are good for almost everyone. They provide a bit more moisture than lightweight moisturizers, but less than creamier ones. With light application, they can also be used for heat-styled hair, as well. They're good for every hair type and texture. Heat-Styled: While some women avoid using products on their hair when it's heat-styled or stretched, for others, going too long with moisturizing could damage hair or cause breakage. If you're the latter, for these moisturizers, a little goes a long way ensuring that hair stays moisturized with little reversion. Creamy/ High Porosity: Creamy moisturizers and leave-ins are great for those with high porosity, thick, dry, and high density hair. They contain emollients like shea butter to soften hair, or aloe vera juice to help smooth the cuticle. Be careful, as this products can cause build-up if you use too much.